Welcome to the Wright City Wildcat Pride Bands website. The Wright City R-II School District is located along Interstate 70 outside of suburban St. Louis, Missouri. The Wildcat Pride Bands have long been a source of pride for the community and the school district. The Pride Bands have a tradition of excellence that spans many years. 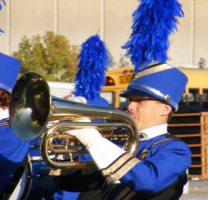 With a membership that ranges between 200 and 300 students in grades 6-12, the Pride Bands are a source of pride for the community and school district.